The Week of the Ascension: “Where He the Head has gone, we the members of the body are surely to follow”. The Ascension therefore is the feast of our destiny, our ultimate orientation and therefore our hope. The Lord Jesus has triumphed over evil and death and is now ascended into glory so that the power of the Holy Spirit may be poured out upon the world. Flowers needed for Our Lady's Statue: During the month of May the Statue of Our Lady is on display in the Church. Please bring small posies of flowers to place around her feet. Latin American Community: raised almost £1000 at bingo two weeks ago for the victims of the Ecuadorian earthquake. Last night was another try! Thank you from UCM: thank you to everyone who went along to support their table top and cake sale last Sunday. They raised £200. Gift Aid: Marie Chang, our Gift Aid co-ordinator will be handing out the new boxes of envelopes after the Masses this weekend. If you are not yet a participant of the Scheme, please consider joining as it greatly helps the parish finances – at absolutely no extra cost!! (Mass intention stipends & Diocesan Collections are gift-aided too.) 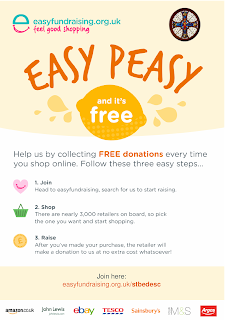 You can donate weekly via the envelopes – or for ease why not think about making your contributions via a Standing Order (forms can be found at the back of the Church all through the year and on this blog HERE!). 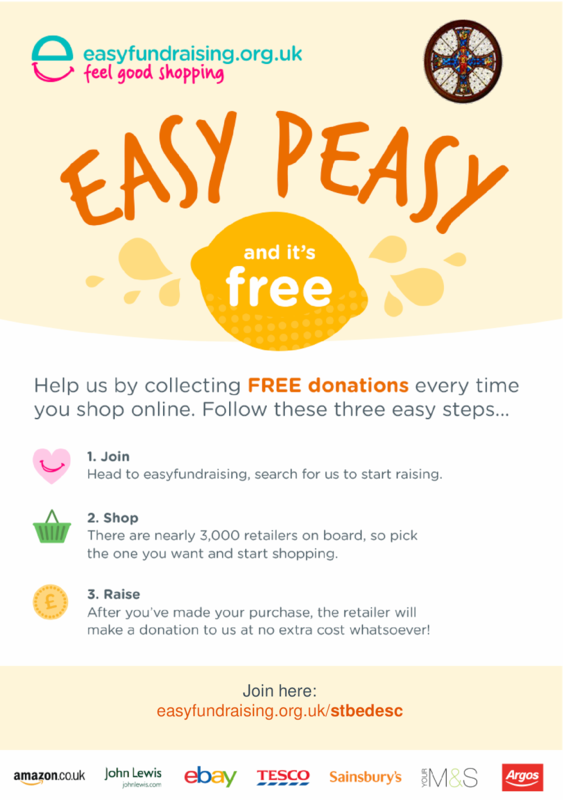 If you are a basic tax payer, we can claim back the tax, increasing any donation that you make by 25% (more if you are a higher rate tax payer). Kath Edwards RIP: Tony Frost’s sister, Kath Edwards died peacefully on Saturday 30th April aged 93. She lived in the parish until the early 80’s when she moved to Fetcham. For the last 11 years she lived in a care home near Henfield. The funeral will take place next Friday (13th May) at 2pm – Corpus Christi Church in Henfield, followed by cremation at Findon and back to Red Oak. African & Caribbean Association after 9.30am Mass today. 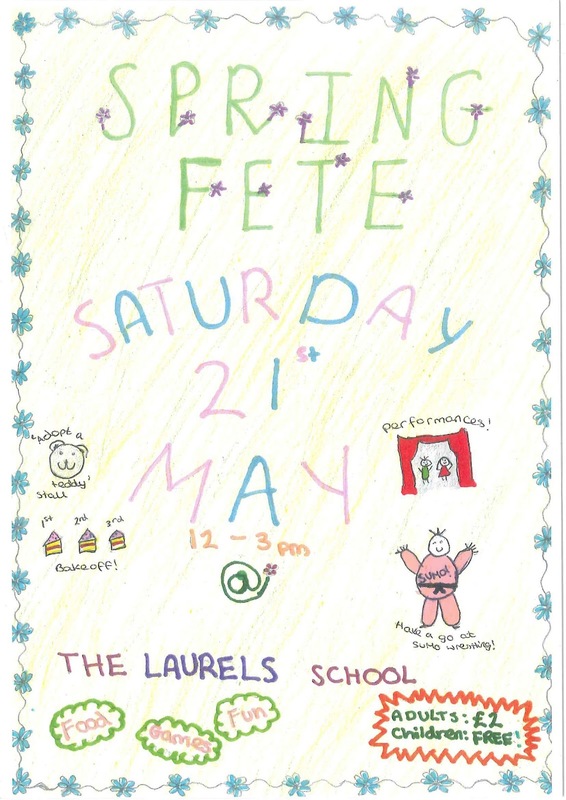 The Laurels Spring Fete: in a few weeks, they will be having their annual Spring Fête, 21st May from 12-3pm. 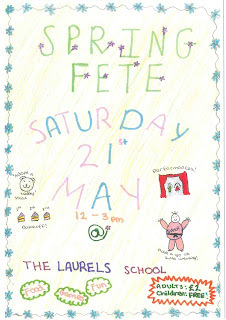 It was a great success last year, enjoyed by everyone and raised funds for school resources. This year the proceeds of the fête will go towards funding resources for the Duke of Edinburgh Award scheme of which our first expedition will be this Years 9 and 10. We have new stalls this year, international food, a bake-off, sumo wrestling and much more so come along for a great day out. Church Cleaners this week: Arinola Badejo, Temilade Lawal & Ngozi Otukwu. 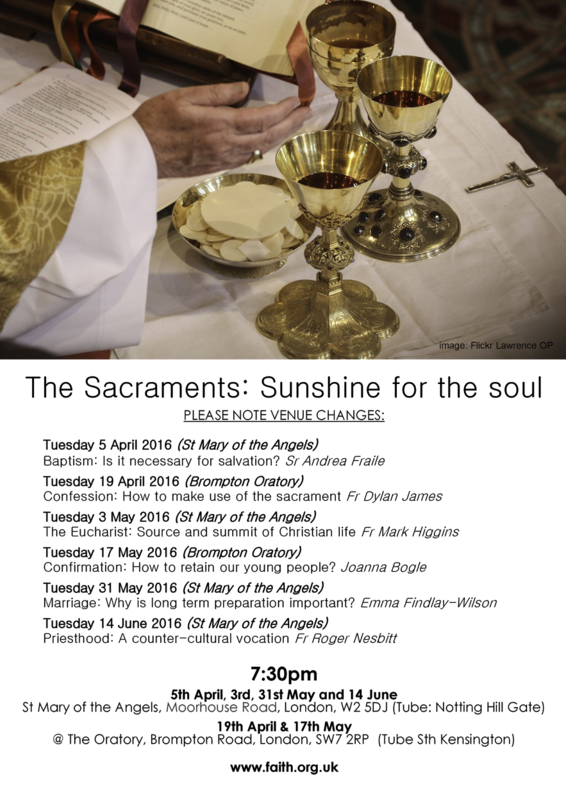 Conference on the Family: organised by the Latin Mass Society. Sat 14th May 10.30am-5pm Regent Hall, 275 Oxford Street, W1C 2DJ. Advanced booking only: Tel 7404 7284 or lms.org.uk. Tickets £20 (members £15) + £10 for lunch. Mothers Help Wanted: Around 10 hours per week, 8.30-10.30 Mon-Fri. Responsibilities to include childcare, some housework and meal prep. Some childcare experience necessary. If you are interested please contact Mary Hunt (contact details are available from the printed newsletter or noticeboard). Evenings of Faith: Tuesday 17th May. Full details at: faith.org.uk/events/evenings-of-faith . 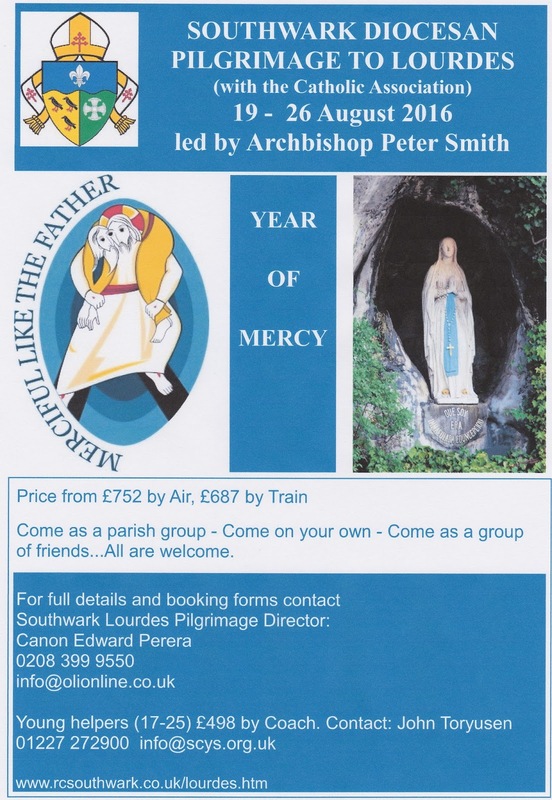 The new venue is St Mary of the Angels, Moorhouse Road, London, W2 5DJ except for talks on 19th April and 17th May which are at The Oratory, Brompton Road, London, SW7 2RP.